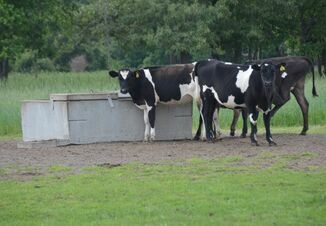 The ultimate goal for any heifer management program is to develop a healthy adult cow that produces high-quality milk. This success depends on how heifers are managed from birth to first calving. Mastitis is considered one of the most significant and costly diseases in dairy cows and results in decreased production and profitability. Mastitis in heifers rarely is detected before calving, although few farms actively look for an infection before the animal calves. Subclinical mastitis can be difficult to detect because the milk appears to be normal but a high somatic cell count is present. It is recommended that all producers use the California Mastitis Test (CMT) on fresh cows to detect mastitis in each quarter. The CMT provides an inexpensive option for detecting mastitis early and provides the most accurate results 5 days post fresh. Producers also have other options available for mastitis detection. Microbiological exam of milk samples may be obtained from suspect quarters to determine the type of bacteria with which each quarter is infected. This exam can be more time consuming than CMT but also provides more in-depth evaluation. With increased technologies, culturing on farms has become more popular, and costs to do so have greatly decreased. The highest risk factor in the development of heifer mastitis can be linked to exposure to mastitis-causing organisms. The environment that heifers are housed in year round can play a large role in the exposure. Heifers should be housed in a clean, dry environment with sufficient amounts of bedding. Animals that have manure cover on the legs and udder area will experience an increased incidence of mastitis at freshening. All heifers should be treated to the same clean environment as the milking herd. These animals are the future of the farm and will soon be relied upon to provide high production levels to keep dairy farms profitable. 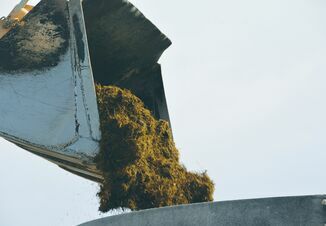 A second risk factor that contributes to heifer mastitis is feeding of waste milk to calves. This practice should be discouraged unless milk can be pasteurized prior to feeding. The exact mechanism that the organism is transferred to the udder is unknown but it is likely related to colonization of the teat skin and inner thighs with mastitis-causing organisms. Studies have shown that milking herds with a high incidence of mastitis also have a high incidence of heifer mastitis. 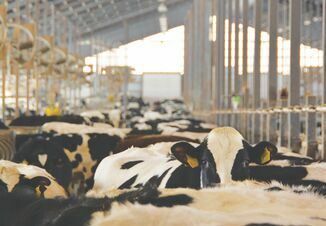 Control mastitis in the existing adult herd; contagious mastitis is more likely to spread if there is a high incidence of mastitis on the farm. Use of individual hutches for pre-weaned calves to prevent suckling. Feed milk replacer or pasteurized milk rather than waste milk. Control flies. This is especially important in the warmer months. Milk fresh heifers first using clean milking equipment. House heifers in well-bedded areas that are clean and dry. Consider implementing a heifer mastitis vaccination program. Remember, heifers are the future of your dairy farm. Introducing healthy, viable heifers into the milking herd will help to increase productivity and profitability in the future. Poll: Which Expense Are You Most Worried About In 2019?